A whole roasted jalapeno chicken is full of flavors, it takes an hour in the oven but it's easy! Make sure you buy a good and juicy chicken. MELT the butter in a small saucepan. PEEL and finely chop the garlic cloves. REMOVE the jalapeno pepper seeds and chop the peppers as fine as you can. MIX chopped garlic and jalapeno with the melted butter and season with pepper and salt. 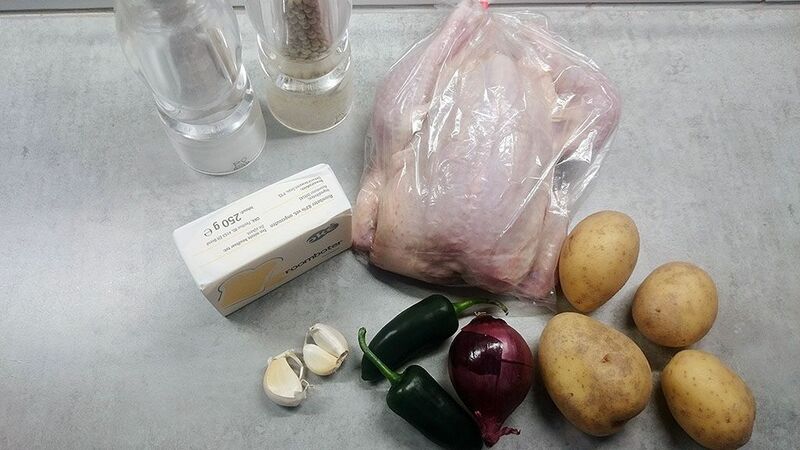 Use a piece of kitchen twine to fasten the chicken legs. RUB the chicken with the butter mixture, don’t forget the inside of the chicken. RINSE the potatoes with cold water and cut into wedges. PEEL the red onion and also cut into wedges. 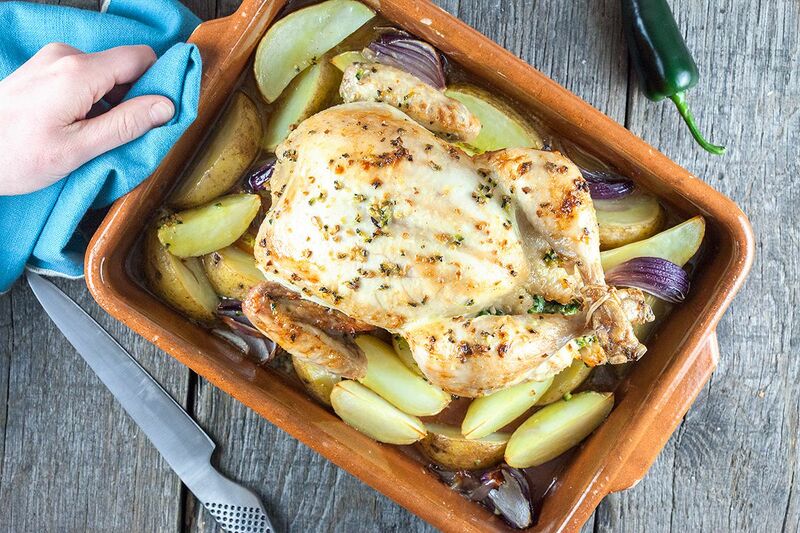 DIVIDE the potato and onion wedges over the oven dish and place the chicken on top. 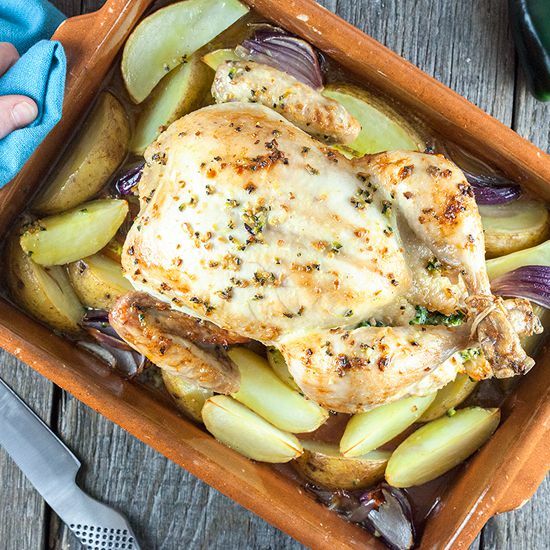 BAKE the chicken in the oven for about an hour. For a juicy and perfect cooked chicken, the temperature should be 71 degrees celsius or 160 degrees fahrenheit. To be more precise you can use an oven thermometer. Make sure you use the thermometer in the thickest part of the chicken. BASTE the chicken from time to time with the butter mixture while it’s in the oven. Use a sharp and flexible knife to easily cut the chicken in pieces. Serve with some extra veggies and enjoy!